Halifax and Doncaster both beat higher league opposition over the weekend to book their place in the last 16 of the Coral Challenge Cup. 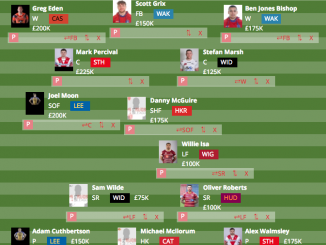 Doncaster are the lowest ranked side left in the competition after beating Championship side Batley 16-12 over the weekend, after battling back from 12-6 behind. It took 36 minutes for the deadlock to be broken, when Connor Bower rose highest to claim Jordie Hedges’ kick, but the Bulldogs turned things around through Michael Ward and Wayne Reittie. New signing Menzie Yere, who joined on loan from Sheffield ahead of the weekend, marked his debut with a try, two minutes after Batley’s Joe Taira was sent to the sin-bin, before Sam Doherty scored the decisive try 16 minutes from time. 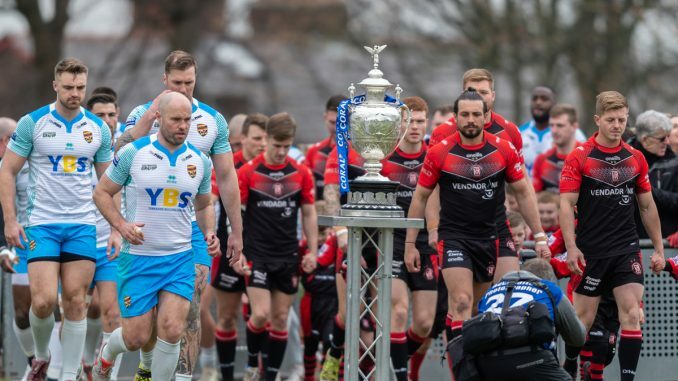 Halifax kicked off the weekend by joining the list of lower league sides’ to beat Super League opposition as they beat London Broncos 24-16. 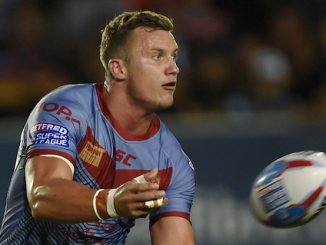 Despite their indifferent start to the Championship season, Richard Marshall’s men ran in four tries to beat an under-strength Broncos, with Ed Barber, Ben Kaye, Reece Chapman-Smith and Quentin Laulu-Togagae getting on the scoresheet. Hull KR survived a scare as they beat Championship side Leigh 14-10. The Robins trailed 10-0 through scores from Jonny Pownall and Joe Cater, though they did reduce arrears to six before half-time thanks to Jimmy Keinhorst. Ryan Shaw and Craig Hall got over to edge Tim Sheens’ men through, and repeated their win over the same opposition back in the 2017 competition. There were no such scares at Leeds or Salford, who comfortably dispatched of Workington and Rochdale respectively on Friday night. Harry Newman scored four tries as the Rhinos beat the League One side 78-6. There was also a hat-trick for Richie Myler as Dave Furner’s side took a break from their Super League woes to run in 13 tries in total. They led 48-6 at the break, while there was also a first try in Leeds colours for recent signing Wellington Albert. Liam Sutcliffe kicked 13 goals from 13 attempts for a personal points haul of 34, including two tries. Salford also ran in 13 tries as they beat Championship side Rochdale 76-6. 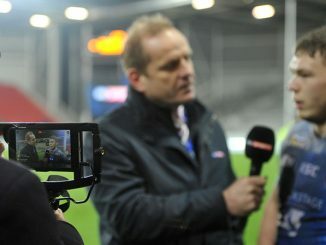 Niall Evalds scored four, while Krisnan Inu also scored his first try for Salford following his recent move from Widnes. Inu also kicked six of the Reds’ 12 successful conversions, after initial kicker Ed Chamberlain was forced off through injury. Former Wigan winger Shaun Ainscough was on the scoresheet for Rochdale. There was drama at Odsal as Jordan Lilley kicked a brilliant drop goal in golden point extra time to steal a 27-26 win for Bradford over Featherstone. 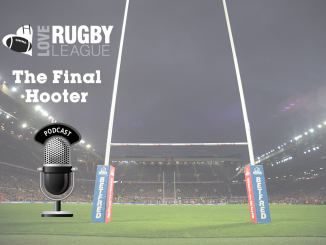 The Bulls trailed 26-8 with just 10 minutes remaining, but scored three times to force extra time, and they won it when Lilley struck on the half time hooter. The final remaining amateur side in the competition, Thatto Heath Crusaders, bowed out with a credible 36-10 defeat against Dewsbury. The game was locked at 10-10 at the break, but the Championship pulled away but not before a long stoppage following a clash between two Crusaders players who were forced off injured. Sam Freeman scored four tries on his home debut as Widnes comfortably beat York 44-12 on Saturday night. The City Knights ended the game with just 11 players due to injury, and had gone toe to toe with the Vikings for large parts, before conceding a couple of late tries. 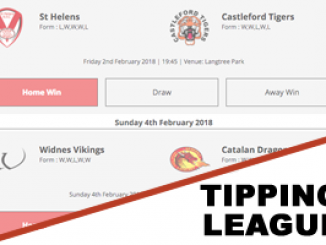 The eight winners of the weekend’s games join the top eight from last season’s Super League – including holders Catalans – in the last 16. The draw for the sixth round will be televised live on the BBC News Channel from 6.30pm on Monday evening.